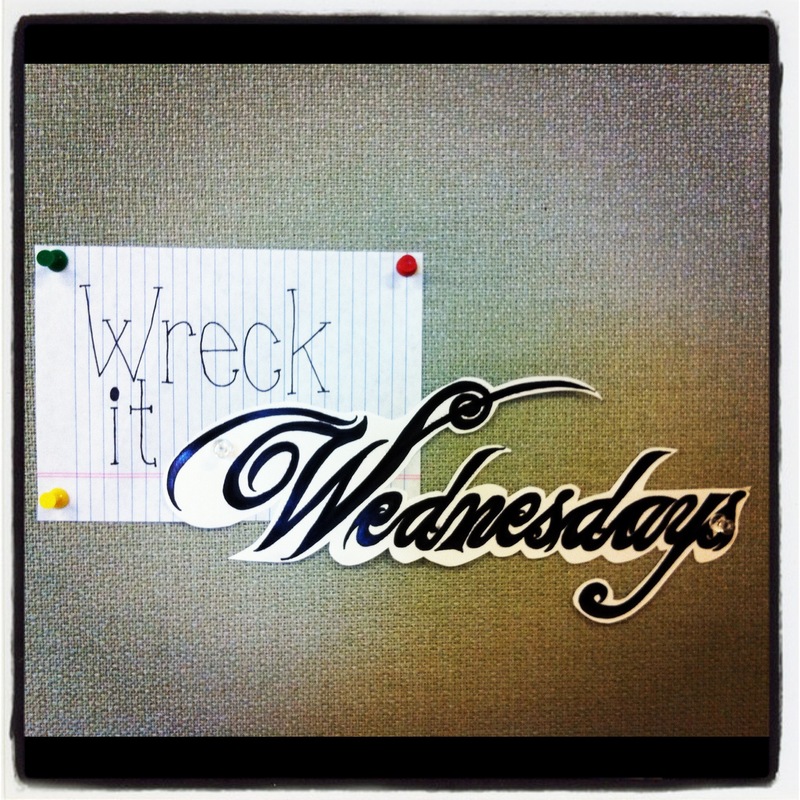 Welcome to Wreck It Wednesday! This is where I show you that breaking free of the way you used to look at things can free your spirit and open up all new possibilities. Today, we’re gonna talk letters. Not emails. Not text messages. Not skyping or leaving messages on Facebook walls. 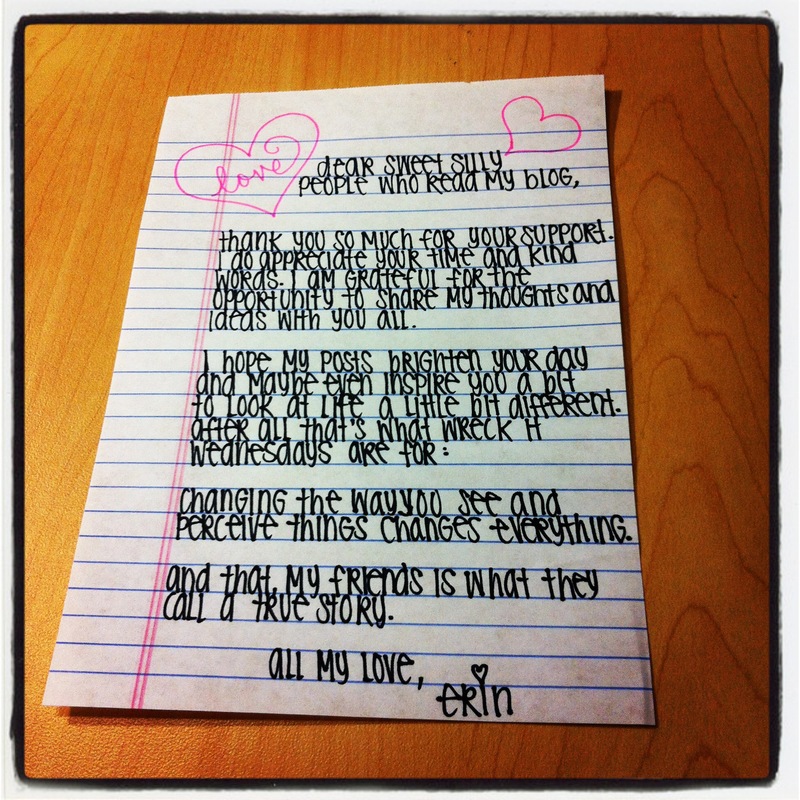 Hand-written, from the heart, letters. No fancy paper…just a wire-bound book of notebook paper. It still makes me smile every time I read it. Staring at a blank piece of paper may induce panic attacks in some, sure. But I know that amidst all of the junk mail and bills, we all secretly (or maybe not so secretly) adore getting real people mail. 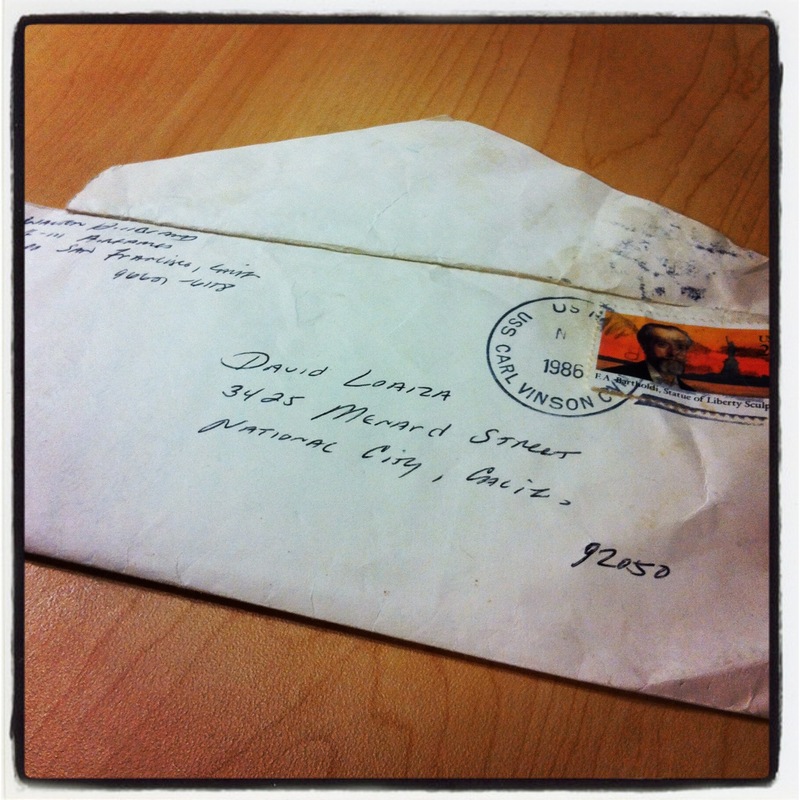 There’s nothing quite like seeing your name and address, hand-written across the front of an envelope. We inspect it and wonder what’s inside. It’s a wonderful experience. It tells us that someone cares about us and took a few minutes out of their busy day to let us know that we were on their mind. 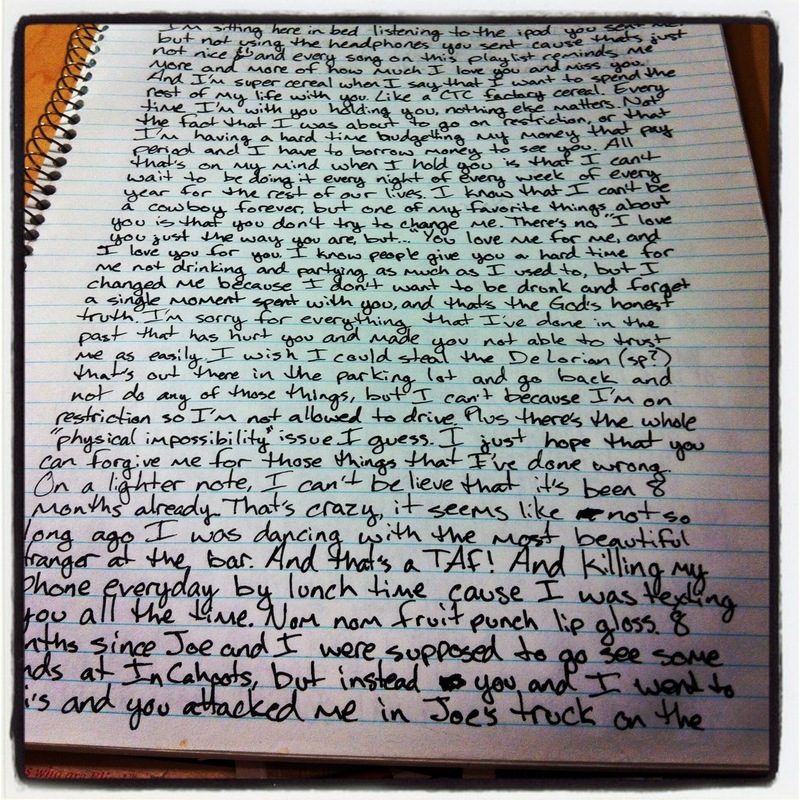 It makes me infinitely sad to think that we don’t physically write much anymore. As a matter of fact, I know a lot of people who don’t know how to write or sign their name in cursive. The problem I see with all the technology we have going on these days, is that we’re always go go go. We need a faster, more efficient way of doing every imaginable task. The problem with all this multi-tasking, we miss a lot of details. Take writing an email for example. You have your account open, typing an email–but what’s that in the background on your desk top? Oh, your Facebook account is up, so is the website for your bank account, and who knows what else. A little bit of meaning is taken away when you don’t give tasks your full attention. Your friends and family deserve that attention, right? Well, get out that paper and your favorite writing implement so we can get started. 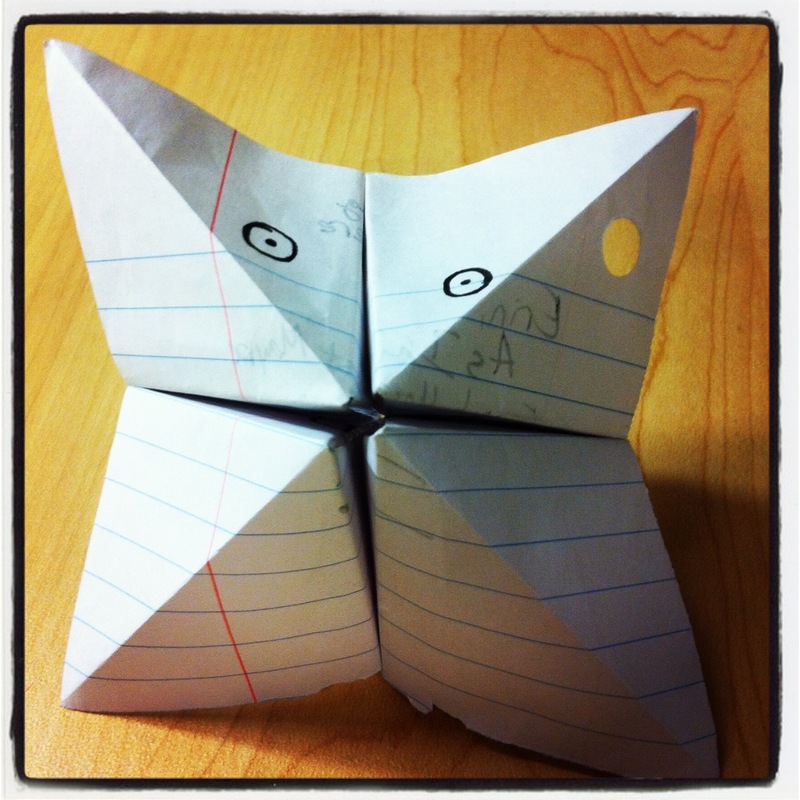 Remember in school, all the different ways we came up with to fold notes? ahhhh…the good ole days. 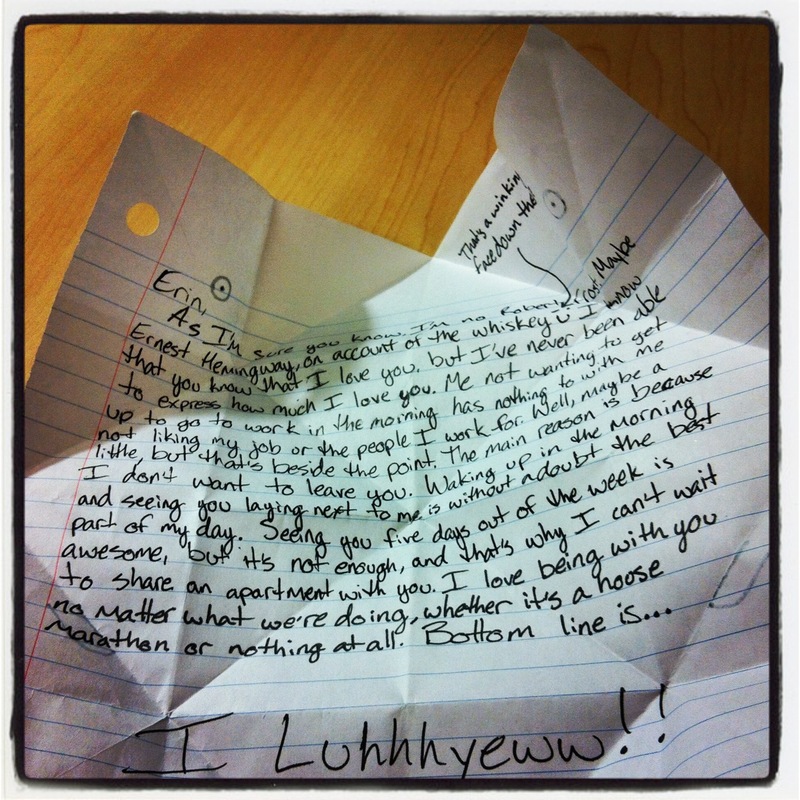 Letters don’t need to be beautiful, well thought out prose to be handed down through generations. They don’t need to be on nice stationary, or written in pen. They don’t even need to be letters at all. As a matter of fact, I regularly write notes here and there for various reasons, and sometimes no reason at all, other than to let someone know I’m thinking of them. I also regularly use markers, crayon and even stickers. So now that you’re ready to begin, how do you begin? Well, how would you start a conversation with the person if you were speaking face to face? 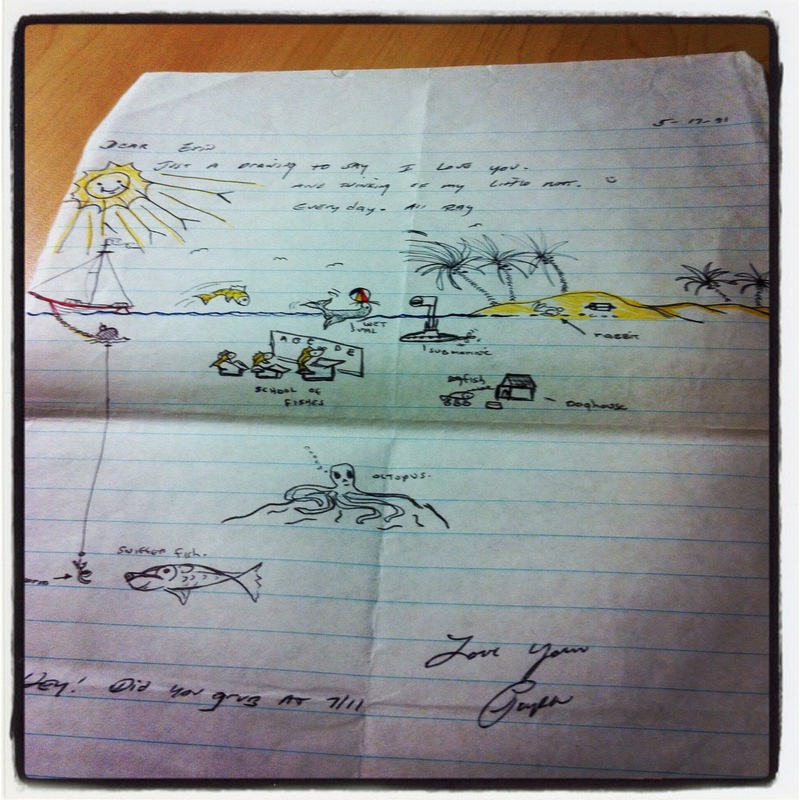 You can start your letter with: “So I was walking down the street the other day, and I saw a poster of a girl holding a puppy that reminded of you…” Heck, you don’t even have to write any words at all–draw a picture. Don’t worry so much about what you think a letter should look like. This is Wreck It Wednesday! A letter is supposed to look like whatever it ends up looking like when you’re done writing or drawing on the paper. Whoever you’re writing it for isn’t going to take a look at the letter and throw it back in your face because they find it unsatisfactory. (As a side note, if they do actually throw it back in your face, you should give serious consideration to removing that person from your list of friends.) They are going to feel happiness because you took a minute to let them know you took a little time out of your busy day for them. Stop letting the fear of not being “good enough” keep you from doing things. 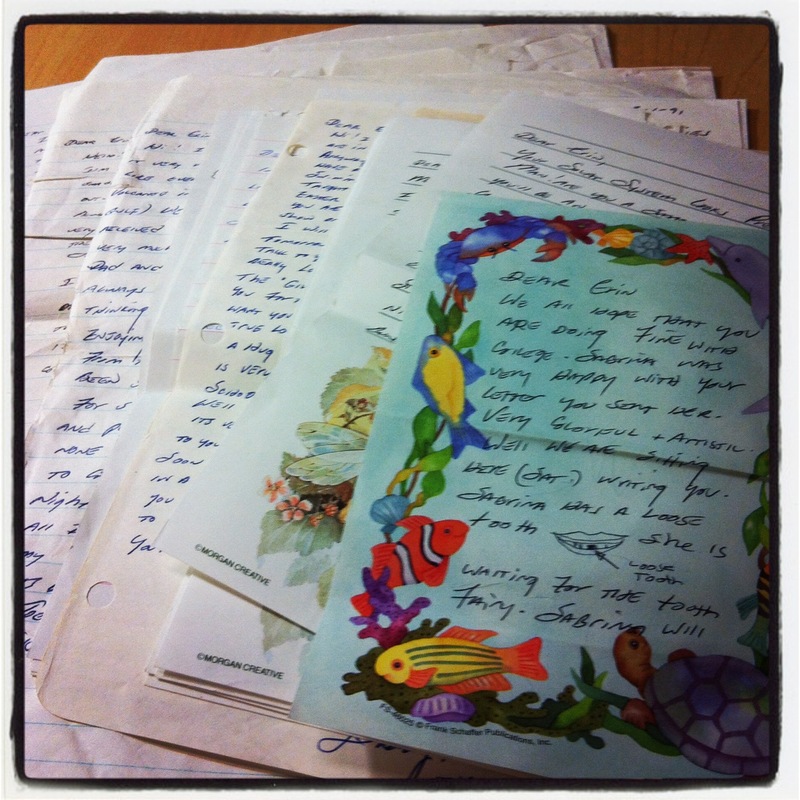 These are letters that my daddy wrote me while he was on deployment. They were written in 1991, and I still have them. That’s how much they mean to me. This is my favorite letter. My daddy was a great artist, and was kinda goofy.